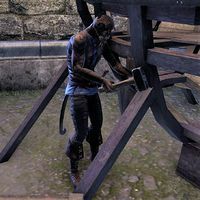 Adineta is a Khajiit crafter who can be found in Shimmerene. You can find him in one of the boathouses at the western docks. He has no unique dialogue. This page was last modified on 28 May 2018, at 02:48.